In today’s short post, I want to provide a list of categories of MLM products. I spent a couple hours and brainstormed the most popular product categories in our industry. I figured the list would have HUNDREDS of different product categories in it, but it doesn’t. You could argue that weight loss, essential oils, and vitamins would fall under the health and wellness category, but I kept them separate for this listing. 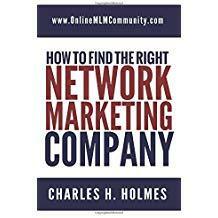 I looked at about 250 different network marketing companies and this is all I could come up with. Hands down, the wellness category is the biggest category I could find. I’d estimate that at least 70% of the companies in our industry offer wellness products. I think that’s due to the demand. Just about everyone uses some type of health and wellness product. Cosmetics and beauty products would be the second largest product category, based off my research. That seems about right considering that women make up a majority of the people in our industry, and every woman I know of uses some type of cosmetic or beauty product. The telecommunications industry is definitely on the rise. Considering most people have cell phones and are dependent on technology for everything, I see this as an up and coming category to be in. The energy niche also offers HUGE upside potential, as more and more states continue to deregulate energy. I believe the telecommunications and energy categories will be the two fastest growing categories in the next 10 years. Household items, sold by direct sales companies such as Partylite®, Tupperware® and Pampered Chef® continue to be a great category line to promote as well. After all, just about everyone has a house or apartment of their own, and they need to fill it with stuff. On a side note, I see the essential oils category continuing to explode in our industry. I included it in the health and wellness category breakdown, for now, but it is indeed a category of its own as well. Bit Coin is also taking the world by storm. You’d think, with the network marketing industry being so big that there would be even more product categories in our industry. Who knows, maybe you can help me out and point out a few product categories that I missed. Leave a comment below if anything comes to mind. Thanks.